This year the 30th anniversary of Tigran Petrosian untimely death will be commemorated. The 9th World Champion of Chess was born in 1929 and passed away in 1984. (For another post on him, see the one published on April the 2nd, 2012). Petrosian’s Chess career started in 1946 and he was active nearly until the moment of his death. His World Championship Candidates series ran from 1952 till 1980. He was a Candidate in 1953, 1956, 1959, 1962, 1971, 1974 and 1980. In 1971 he defeated the Germa GM Hübner and the Soviet GM Korchnoi, losing in the Final to Fischer. In 1974 he defeated GM Portisch (Hungary) but lost to Korchnoi. In 1980, he lost again to Korchnoi who had become his arch-enemy (Korchnoi, who became a defector in the mid 70’s of the 20th century, accused and blamed Petrosian (and many others too) of everything… In 1963, he became a Challenger and in the World Championship Match he defeated no other than Mijail Botvinnik. In 1966 Petrosian defended the Title successfully in a match against GM Boris Spassky but in 1969 against the same opponent he lost the match passing the honours to Spassky. Petrosian played in 10 Chess Olympiads with an overall impressive score of +79 -1 =50. Apart from the many international tournaments he took part in, he also played in a lot of Soviet Team events, Championships, etc. He was four times Champion of the Soviet Union (1959, 1961, 1969 and 1975) . Petrosian’s style was positional, strongly influenced by Nimzowitsch (he grew up studying his books). In fact, he used every Nimzowitsch’s weapon: overprotection, blockading Knight, prophylaxis, centralization, blockade, restraint, attack /play on squares of the same colour, etc., carefully blending them with the fresh new approaches of the Soviet Chess School. Petrosian was a master of manoeuvring, defence and prophylactic thinking. But he was also a superb tactician, very strong in blitz games, for instance. His games are full of hidden dynamism in Vasiliev words. He also mastered the art of sacrificing the exchange and his games were not as “dry” as many people, commentators and “experts” believe. He was able to realise advantages by means of tactical and combinative means, which mainly crop up after a careful strategical and manoeuvring play. He was able to detect and prevent the slightest of threats (some people have written that even before his opponent realized they existed ) , taking measures against them, which in some cases provoked a sudden collapse of his opponents’ positions. Bobby Fischer acknowledged his strength and skills and even his arch-enemy Korchnoi wrote that one had to accept Petrosian really understood Chess. The following position, from the Black side, belongs to the game Kasparov-Petrosian, Tilburg, 1981. The young Kasparov has mounted what seems a terrible attack. It’s Black’s turn, what would you play here? 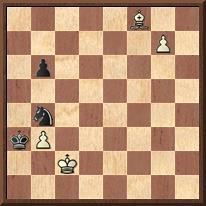 Now I am going to give the solution, but first try, at least, to choose the move you would have played as Black. Pay attention to White wonderful dominating position. Will you choose an overwhelming defensive move trying to steer the game into a draw?. Would you try to exchange pieces and hope for the better? Or perhaps you would try to hurry your King away from White’s ire looking for a safe haven on f7, for instance?. 35…, Kc6!! (yes, even Kasparov was shocked after seeing this suicidal attempt. But there still was a pretty surprise for him in the offing…) 36. Rba3 bxc4 37. Rxa6 Bb6 38. Rxa6 Bb6 39. Bc5 Qd8 40. Qa1 Nxc5 41. dxc5 Kxc5 42. Ra4 and White resigned at the same time! Sometimes we get used to employing certain terms and really we only have a sort of intuitive understanding of them. Let´s speak of the concept “Schools of Chess”. Supposedly the idea has to be understood related to the strategical side of Chess, and it would have to do with groups of chessplayers who would share the same strategical concepts to apply in the game. Everybody have read about the “Romantic School”, the “Classical School”, the “Hypermodern School” or the “Soviet School”. In my opinion these are the main ones though other authors have mentioned the Philidor,the Modenese even the English Schools too. But I consider them the precursors of the previously mentioned ones. The so-called “Romantic School” developed during the 19th century. Chess was in its beginnings as far as strategical and defensive ideas were concerned. The players’ opening repertoires were narrow and the games were characterized by sacrificial attacks. Accepting gambits was a matter of honour and nobody cared about defence. People associate the period to Morphy(1837-1884) and Anderssen (1818-1879). Then W. Steinitz (1836-1900) appeared. Being a player in the Romantic tradition in his beginnings, he was destined to become perhaps the first systematic thinker in the history of Chess. Unfortunately, his ideas (some of them bizarre, others too revolutionary for the time,etc.) were not understood by the rest of players. Evidently, he found inspiration is some of his predecessors, and in this respect there is a name I would like to mention: Howard Staunton (1810-1874). In my opinion, he was the one who started to lay the foundations for the arrival of Steinitz (but this is simply an opinion). The man called to explain and widen Steinitz’s theories was the German Siegbert Tarrasch (1862-1934) He was among the best chessplayers in the world in his time and played for the World Championship (with no luck). He developed Steinitz’s theories and established his own ideas. This period falls into what is considered as the “Classical School of Chess”. Then a reaction against all this broke up with the appearance of the three apostles of a new School of Chess: The new ideas of the “Hypermodern School of Chess” (Nimzowitsch liked the term “Neoromanticism”) , a reaction against the “rigid” concepts advocated by Tarrasch, were heralded by G.Breyer (1894-1921), R. Reti (1889-1929) and , above all, by A. Nimzowitsch ( 1886-1935). The Hypermodern ideas were exposed in three books by Nimzowitsch : “My System“, “The Praxis of My System” and “Blockade“. They are exceptional documents. Curiously enough Nimzowitsch also mentions Steinitz, but the interpretation he gave to his predecessor’s ideas and the new ones introduced by the Hypermodern players constitute the establishment of a fundamental milestone in the history of Chess. Even today books keep being published discussing Nimzowitsch contributions to our beloved game. A new set of openings were invented, or rediscovered and put into practice by them. Everybody plays them today. The “system” worked in its time and works ,with the necessary adjustments, today. 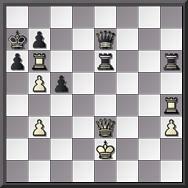 The English Opening, the Reti, the Larsen/Nimzowitsch, the Nimzoindian, Bogoindian, Queen’s Indian, systems with 1. Nf3 and all sort of fianchetto-based openings and defences like the Pirc, the Modern, the King’s Indian, the Grünfeld, the Bogoindian, the Alekhine and so on. And while all this was taking place mainly in Central Europe, a parallel movement with its roots deep in the 19th century tradition began to take place in Russia/the Soviet Union. With Chigorin as one of its foundling fathers, the 30`s and 40’s of the 20th century witnessed the appearance of an enormous Chess machinery:” The Soviet School of Chess”. (See the two posts published on the 21st and the 23rd of March 2012 for more information). In the development of Chess ideas there is no watertight departments. Different ideas and different approaches, once established and formulated tend to coexist. Classicist and Hypermodernists lived and played together. A Capablanca and a Nimzowitsch or a Tal and a Petrosian. The topic I have written about is immense and a lot of players could be mentioned. But remember that the aim of this blog is to encourage the reader to make his/her own findings. Thank you so much. Mate in 3 moves.- N. Rubens, 1953. On some webpages I have tried to find what other people think of the following game. (Many years ago I got a book with Botvinnik notes to his games, a translation from the Russian original.) To my surprise not many people seemed interested and those I found showing some sort of interest did not know the real story or did not remember it … as Botvinnik left in writing. 1.c4 , Nf6 /2. Nf3, e6 /3. g3, d5/ 4. Bg2, Be7/ 5. 0-0, 0-0 /6. b3, c5 /7. Bb2, Nc6/ 8. e3, b6/ 9. Nc3, Bb7/ 10. d3, Rc8/ 11. Rc1, Rc7/ 12. Qe2, Rd7/ 13. Rfd1, Re8/ 14. cxd5, Nxd5 / 15. Nxd5, Rxd5/ 16. d4, Qa8/ 17. dxc5, Rxd1/ 19. Ng5, h6 20. Ne4, Bf8/ (Diagram) 21. Rd7 *, f5/ 22. Nd6 **, Bxd6/ 23 ***. Rxd6, Nd4/ 24. Rxd4, Bxg2/ 25. Rd7, Bh3/ 26. f3, Rd8/ 27 ****. Rxg7, Kf8/ 28. Rh7, Qd5/ 29. Kf2, Qd1/ 30 *****. Rh8, Kf7/ 31. Rxd8, Qxd8/ 32. Qc2, Qd5/ 33. Qc7, Ke8/34. Qb8, Kd7/ 35. Qxa7, Kc8/ 36. Qa6, Kc7/ 37. Qc4, Qxc4/ 38. bxc4, Kc6/ 39. 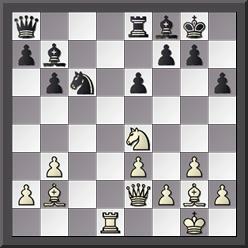 Bd4, h5/ 40. a4, Kc7/ 41. c5, bxc5/ 42. Bxc5, Kc6/ 43. Bb4, Kb6/ 44. g4, hxg4/ 45. Kg3, e5 46. e4, fxe4/ 47. fxg4, Black resigned. * Botvinnik said that in the diagrammed position Flohr pointed out that White would have won with 21. Nf6, gf6/ 22.Qg4, Kh7/ 23 Rd7! ** The second missed opportunity appeared on the 22nd move: instead of 22. Nd6, Kotov pointed out 22. Nf6!! and Botvinnik added (3rd missed opportunity) that even 22. 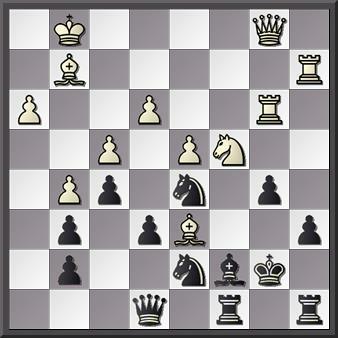 Qh5 would have led to a winning position after: 22 … Re7/ 23. Rxe7, Nxe7/ 24. Nd6!, Bxg2/ 25. Qf7, Kh7/ 26. Bxg7!! **** The fifth was noticed by Gligoric who said 27. Qd1! was winning. ***** And the sixth was pointed out by Botvinnik again : 30. Bc3 followed by 31. Rxh6. If 30…, Qh1/ 31. Rh8, Ke7/32 Bb4 and 33. Qd3. The 1981 World Championship Match was to be played in the same venue as the Candidates’ Final between Korchnoi and Hübner, the Italian town of Meran (north of Italy, region of Trentino-Adigio.The place gives also name to the famous Meran Variation in the Semislav after the game Tartakower-Rubinstein played there in 1924. That part of the old Europe is very interesting historically speaking ). After that match fiasco, I guess the organizers would expect to cash in on a bigger stake. The events which had taken place three years before still cast their shadows over Meran ’81 :Korchnoi’s family was still in the Soviet Union : the Soviet authorities refusing to allow them to leave the country, and the rivalry between the two K’s had not diminished. But the match turned out to be a sort of anticlimax… The Soviet delegation included many people: Chess helpers, Karpov’s personal cook, medical staff, physical helper,translators and diplomats,as well as A. Roshal and V. Baturinsky, and bodyguards. (Any Soviet World Champion had access to any sort of help. Karpov had many “consultants” and I could mention his all-time helper Zaitsev, and Yuri Balashov, for instance. In Meran Tal and Polugaevsky were side by side with him too. On those days it was very difficult to clearly determine “who were doing what” in Soviet official Chess camps) . Korchnoi’s seconds were Stean, Seirawan,Gutman and Ivanov. He was also accompanied by a lawyer, A. Brodbeck and a Chief of Delegation, E. Sztein. Journalist present mention also the presence of a bodyguard… Those were hard days…The match was scheduled to beguin on October 1st, the winner would have to win six games with draws not counting. All in all, one thing was immediately clear: Karpov was still becoming stronger while Korchnoi seemed to be slowly declining, at least to maintain such intensity against a terrific opponent as Karpov and for so many years . The first games of the event showed that Viktor was not in the match: after the first five games, the score was 3-0 for Karpov. Korchnoi managed to win the sixth game but after the tenth game the score was 4-1 in Karpov’s favour. Some drawn games followed, Korchnoi won the 13th game but lost the 14th and leaned over the abyss much to the organizers’ desperation who saw that a quick resolution of the match would finish with their financial expectations (understandably, under such conditions a very long match can be catastrophic but if it is too sort and one-sided the financial situation for the sponsors is the same: absolute disaster!). I have read that the organizers managed to express their worries to Karpov who somewhat reassured them (! )… Be that as it may, three more games ended in a draw but the 18th one ,played on November 19th was adjourned with a winning position for Karpov. The game was not resumed and Karpov renewed his World Champion title for three more years. After the 1978 match I was looking forward this new event. On the one hand , my sympathy was with Karpov. But I still had the secret hope of witnessing another magnificent struggle with the scores dangling from one side to another. That was not to happen. But the match taught me a lot of Chess strategy, especially the first and the ninth games. In the first game, Karpov played superbly using one of his favourite weapons: the hanging Pawns. In the ninth game, he showed another of his specialties: the fight against the isolated Queen Pawn. The fifth game was also of great technical interest since Karpov managed to draw as Black -a Pawn down- in a typical King +Rook + four Pawns vs. King + Rook + three Pawns all in the K-side. Nevertheless and in retrospect, the feeling left by that match was one of dullness. Nothing to do with what was going to come: the immense clash Karpov-Kasparov in the following years. In a sort of gesture to the gallery, Karpov even played the Italian Opening in the 8th and the 10th games. Two draws. Karpov himself in his notes to the games says that the Italian Game had last appeared in a World Championship Match in 1896 (Lasker-Steinitz return match). 1. c4, e6/ 2. Nc3, d5/ 3. d4, Be7/ 4. Nf3, Nf6/ 5. Bg5, h6/ 6. Bh4, 0-0/ 7. e3, b6/ 8. Rc1, Bb7/ 9. Be2, Nbd7/10.cxd5, exd5/ 11. 0-0, c5/12. dxc5, bxc5/ 13. Qc2, Rc8/ 14. Rfd1, Qb6/ 15. Qb1, Rfd8/ 16. Rc2, Qe6/ 17. Bg3, Nh5/18. Rcd2, Nxg3/ 19. hxg3, Nf6/ 20. Qc2, g6/ 21. Qa4, a6/ 22. Bd3, Kg7/ 23. Bb1, Qb6/ 24. a3, d4!/ 25.Ne2, dxe3/26. fxe3, c4!/ 27. Ned4, Qc7/ 28. Nh4, Qe5/ 29. Kh1, Kg8/ 30. Ndf3, Qxg3/ 31. Rxd8, Bxd8/ 32. Qb4, Be4!/33. Bxe4, Nxe4/34. Rd4, Nf2+/ 35. Kg1, Nd3/ 36. Qb7, Rb8/ 37. Qd7, Bc7/ 38. Kh1, Rxb2/ 39. Rxd3, cxd3/ 40. Qxd3, Qd6/ 41. Qe4, Qd1+/ 42. Ng1, Qd6/ 43. Nhf3, Rb5/ The game was adjourned here. Karpov sealed a move but Korchnoi, after a while, stopped definitively the clocks. White resigned. 1. c4, e6/ 2. Nc3, d5/ 3. d4, Be7/ 4. Nf3, Nf6/ 5. Bg5, h6/ 6. Bh4, 0-0/ 7. 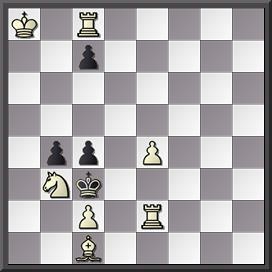 Rc1 dxc4 (TN according to Karpov)/ 8. e3, c5/ 9. Bxc4, cxd4/ 10. exd4, Nc6/ 11. 0-0, Nh5!/ 12. Bxe7, Nxe7/ 13. Bb3, Nf6/ 14. Ne5, Bd7/ 15. Qe2, Rc8/ 16. Ne4, Nxe4/ 17. Qxe4, Bc6!/ 18. Nxc6, Rxc6/ 19. Rc3, Qd6/ 20. g3,Rd8/ 21. Rd1, Rb6/ 22. Qe1, Qd7/ 23. Rcd3, Rd6/ 24. Qe4, Qc6/ 25. Qf4, Nd5/ 26. Qd2, Qb6/ 27. Bxd5, Rxd5/ 28. Rb3, Qc6/ 29. Qc3, Qd7/ 30. f4, b6/31. Rb4, b5/ 32. a4, bxa4/ 33. Qa3, a5/ 34. Rxa4, Qb5 /35. Rd2, e5/ 36. fxe5, Rxe5/ 37. Qa1, Qe8! !/ 38. dxe5, Rxd2/ 39. Rxa5, Qc6/ 40. Ra8+, Kh7/ 41. Qb1+, g6/ 42. Qf1, Qc5+/ 43. Kh1, Qd5+/ White resigned.